This hike is a full pack, 6 day in and return trip from Ida Bay to Pindars Peak. We cross high country, sidle past highland tarns and climb numerous peaks along the way. This walk best suits the experienced walker with a good level of fitness. The Southern Ranges are exposed and walkers must be prepared for all weather conditions. We always hope for favorable weather and with this confidence we have coincided our walks to depart around the full moon. 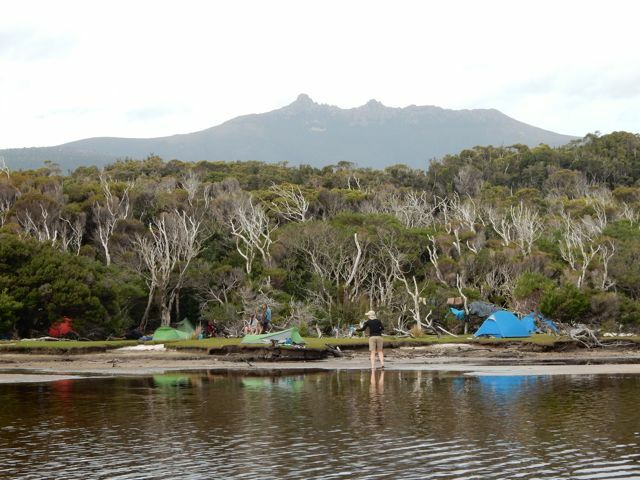 Tasmanian Hikes reserves the right to vary or postpone a tour due to unsafe conditions such as severe weather, floods, bush fires orsudden track closures.